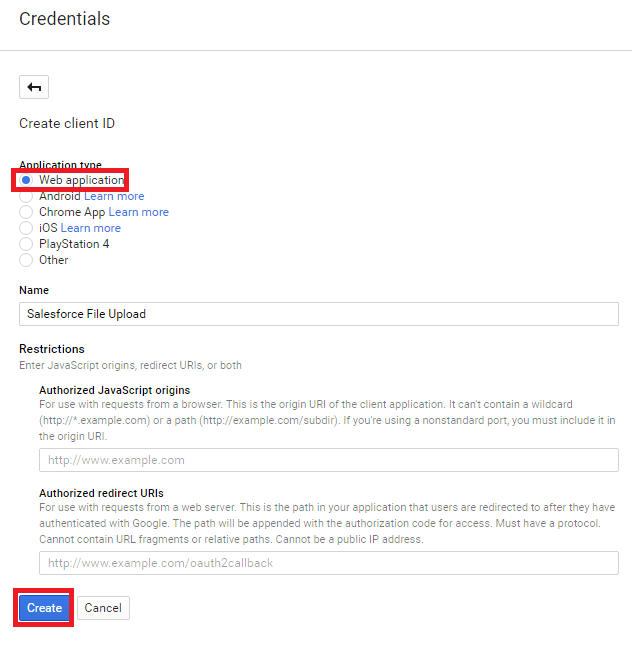 Infallible Techie: How to create an Authentication Provider for Google Drive in Salesforce? 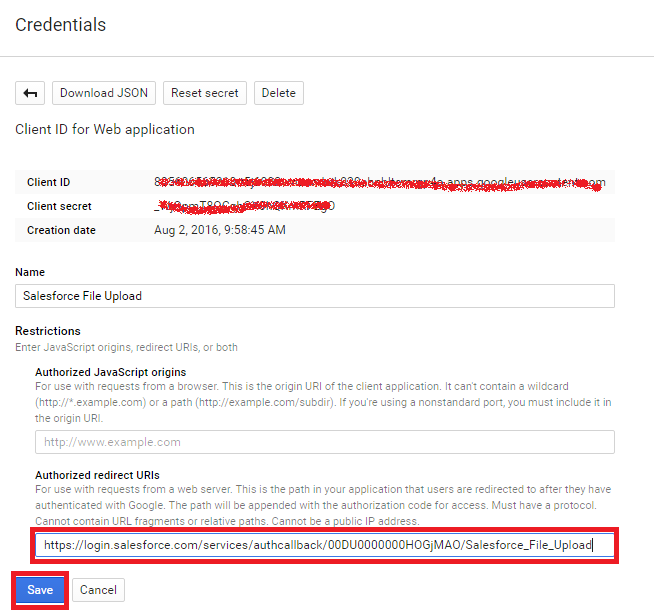 How to create an Authentication Provider for Google Drive in Salesforce? 1. 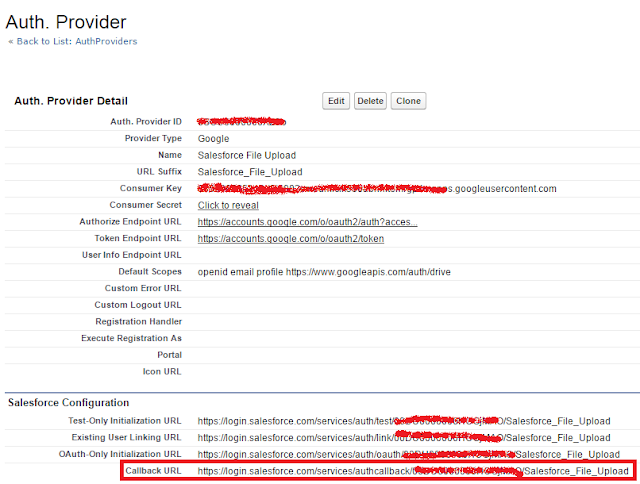 Log in to https://console.cloud.google.com. 2. Click Create Project. 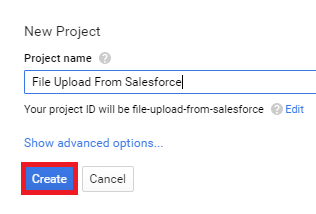 Enter the project name and click "Create". 3. 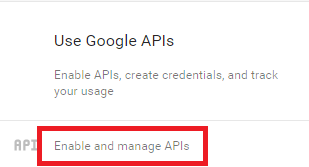 Click "Enable and Manage APIs". 6. 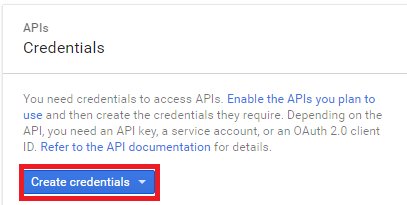 Select "OAuth Client Id". 7. 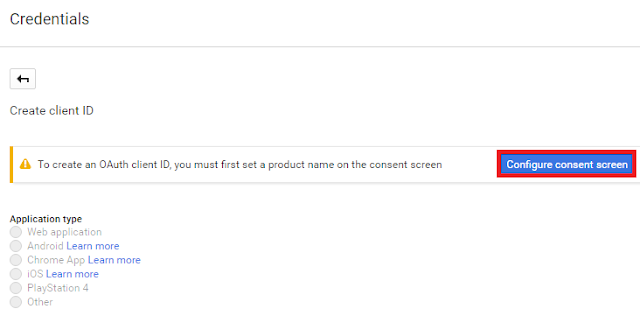 Click "Configure Consent Screen". 8. Enter the details and click "Save". 9. Select Web Application, enter Name and click "Create". 10. 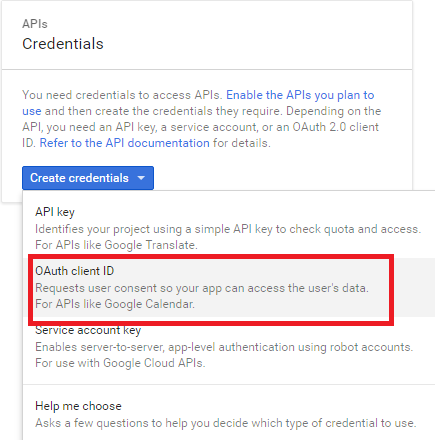 Go to Security Controls --> Auth. Providers. 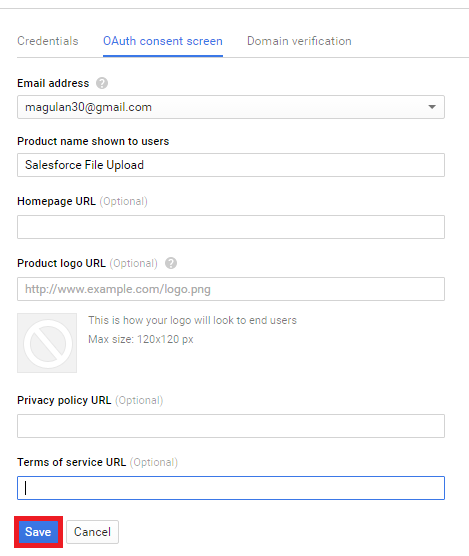 Name - Enter the name you want to appear in Salesforce. 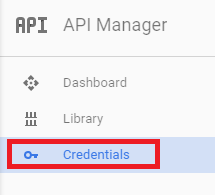 Consumer Key - Enter the client ID you copied when creating the Google project. Consumer Secret - Enter the client secret you copied when creating the Google project. 13. 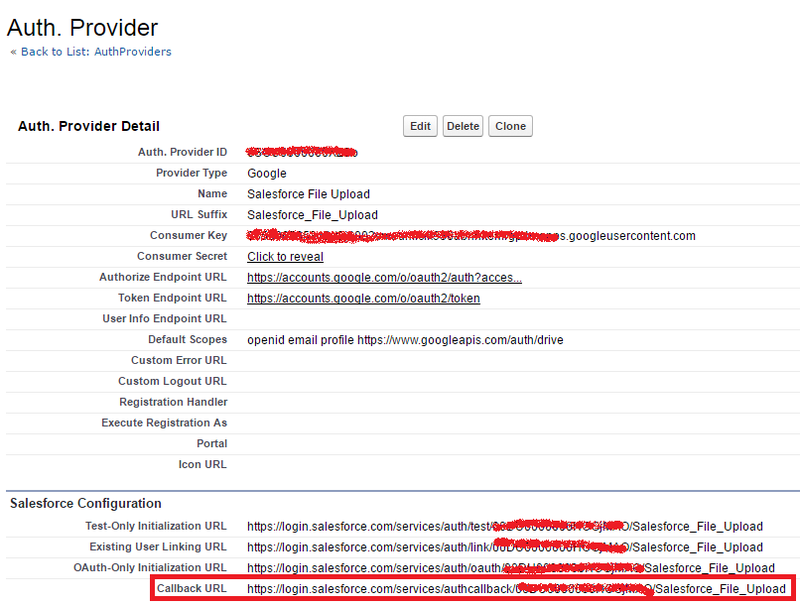 Copy the Call Back URL. 14. 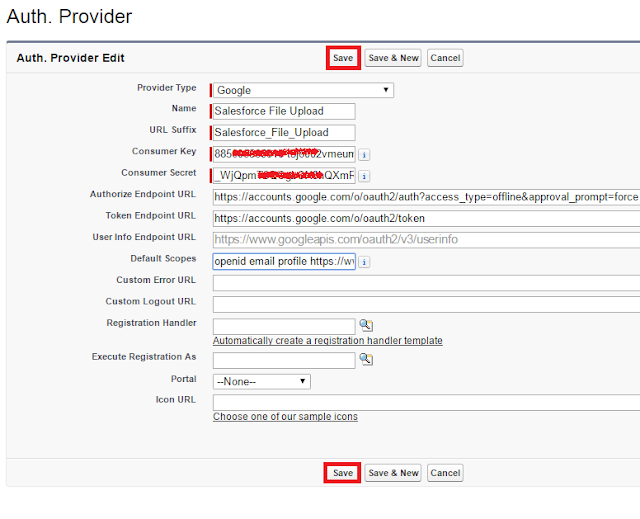 Enter Call Back URL in Google project and Save.